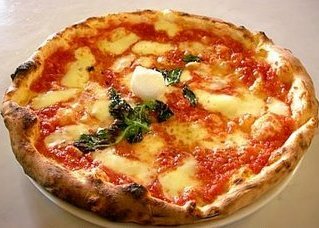 In some pizza recipes (termed "white pizzas") the tomato sauce is omitted, or replaced with another sauce (usually garlic butter but can be sauces made with spinach or onions). Pizza is normally eaten hot (typically at lunch or dinner), but leftovers are often eaten cold. 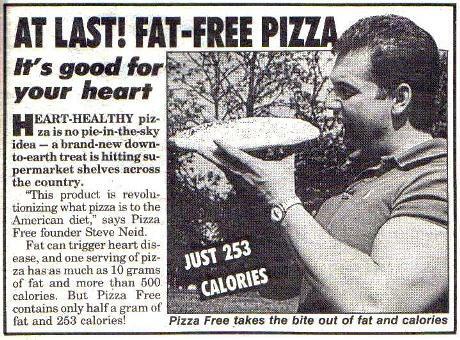 The word "pizza" is from the Italian word pizza (IPA: [pittsa]), with plural form pizze (IPA: [pit:tse]). The term was originally used to refer to a range of dough-based dishes, and is thought to be derived from pinza ← Latin pincere "to mash up". 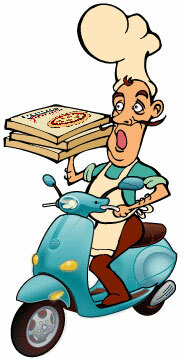 A restaurant that serves pizza is called a pizzeria (from Italian); in the US, the phrase "pizza parlor" is also used. Pizza can also be purchased in grocery stores or supermarkets (usually, but not always, frozen); in many countries, pizza can also be ordered by phone (or, increasingly, via the Web) to be delivered, hot and ready to eat, to almost any address within range of the restaurant.